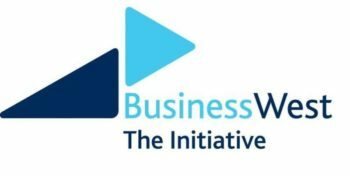 This blog from Ian Townsend, Chief Executive of Bristol Green Capital Partnership, shares reflections on Bristol’s carbon neutral ambitions. Bristol is a remarkable place, where things can change remarkably quickly. 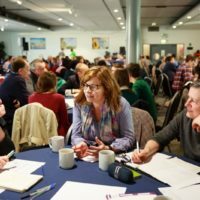 Barely a month ago, I wrote about Bristol’s journey to carbon neutral by 2050 for Green Great Britain Week. I highlighted how, during Bristol’s year as European Green Capital in 2015, we showed leadership among cities to accelerate existing plans and adopt the 2050 target at the Paris climate talks. I also noted that, given strong progress so far – with City of Bristol carbon emissions down 35% in 2016 from 2005 levels, there were rising calls to bring forward the date from 2050. This week, Bristol has once again shown leadership among cities by adopting the game-changing ambition of becoming a carbon neutral city by 2030. At a Council debate on Tuesday 13 November, all elected members present including the Mayor of Bristol voted to endorse a motion – brought forward by the Green Party and supported by the Conservative, Labour and Liberal Democrat party groups – calling for, among other things, bringing forward the city’s carbon neutral target by 20 years, from 2050 to 2030, calling on central government to help enable this ambition and working with partners across the city-region and other governments in the UK and globally. This decision continues the cross‑party support for action on climate change that Bristol has enjoyed for many years. This shift comes in the aftermath of a key international scientific consensus report from the UN* on the wide-ranging dangers of global warming beyond 1.5°C. The IPCC report made real the deep disruption and damage to people and ecosystems that 2°C of global warming would bring. But amid all the risks, it confirmed that if we act quickly, collectively and concertedly we can still avoid the worst outcomes of warming beyond 1.5°C. Following the report, the UK Government last month sought fresh advice on national carbon targets from the independent Committee on Climate Change, due to report by March 2019. 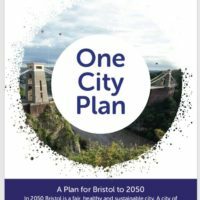 Cities like ours have been playing a pivotal role in rising to the critical climate change challenge for some time, and this new 2030 ambition will be Bristol’s vital contribution to that challenge to our planet and all its people. The ambition agreed this week could be transformative for our city, likened by a Partnership contact to “strapping booster rockets onto Bristol’s 2050 commitment” – presumably rockets powered entirely by clean, renewable energy! It places even more emphasis on how the decisions that every citizen, business and other organisation makes can contribute towards this ambition. This offers an amazing opportunity for Bristol Green Capital Partnership and its members. The Mayor announced that he has asked the Partnership to help to pull together the considerable expertise and enthusiasm among our members and beyond to work out a route-map to the city’s 2030 ambition. ** We will seek to move as quickly as possible to develop plans for this with the Mayor. This work will build on more than 11 years of good work by the Partnership and its now 850+ member organisations, and previous carbon target consultations including a Partnership gathering in February 2016 on realising the 2050 target, a roundtable of key stakeholders in September 2017 as part of the Urban ID project with the University of the West of England (a report of which will be produced soon), and our current work on contributing the environmental sustainability in Bristol’s emerging One City Plan – which will align with the global Sustainable Development Goals (which also share a 2030 deadline). This ‘clean energy rocket-boosted’ journey will not be easy. 2030 is just 12 years away. Several speakers at the Council debate expressed some reservations about the feasibility of achieving this. Certainly, as we move beyond the relatively low-hanging low-carbon fruit, reducing emissions further will become more challenging. We will need to work hard to ensure that the city’s carbon neutral transition is just. Those with the fewest resources are likely to be those that suffer most from the consequences of global heating, both globally and here in Bristol. 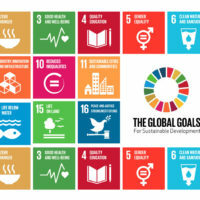 Environmental equality is one of the Partnerships future priorities, and former president of Ireland Mary Robinson will be speaking on this topic here in Bristol at a Festival of Ideas event on 30 November. 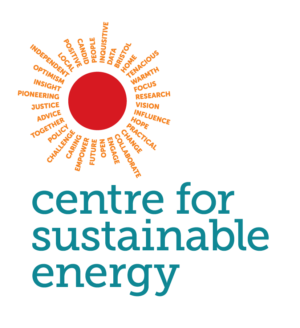 And this presents an opportunity to look to unleash the benefits of being carbon neutral (more on this in last month’s blog). We will need to collaborate even more closely and more widely than we already do through the Partnership to enable us to go beyond business as usual, and move further and faster at the speed and depth necessary for Bristol to meet our share of the global challenge of limiting global heating to 1.5°C. 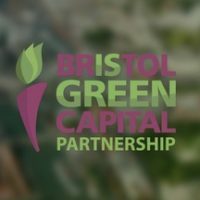 Should your organisation or business not happen to already be a member of Bristol Green Capital Partnership, this is an excellent moment to join us and get involved as we move forward in this remarkable collective city endeavour. Catch up on the University of Bristol’s Cabot Institute recent event explaining what a seemingly small additional 0.5C of global warming could mean for humanity and nature.